When you select a security camera system, it is important to consider and ask questions about some of the possibilities that you want. 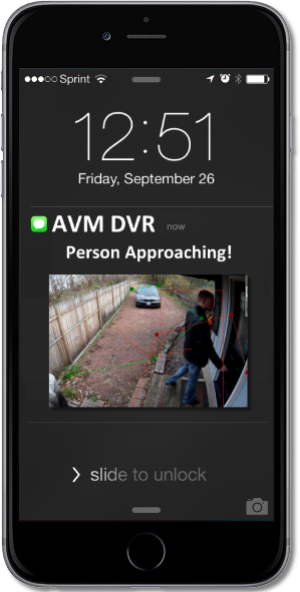 Most homeowners wish to be alerted when a person approaches their home, so that they know when someone is at the door. This is because they know that they will not be sitting on their phone all the time watching what is happening. If you had the time to do that, then you could just sit at home and look out the window. These days, many camera systems are accessible from your iPhone or Android phone. This is a very useful feature, in fact we helped to pioneer this level of access, even watching security cameras on our flip phones back in the day. But the problem is, that you will not be watching all the time. The battery in your phone would die and you would go over your data plan. So this access is important, but clearly it would be useful to have a system that could actually let you know when to watch instead. For years, we have been designing these exact type of systems, by using external motion detector sensors and alarm cards. The motion sensor would send a signal to the IO board, which tied into our AVM (Advanced Video Management) camera system to send you an alert that the motion sensor had been tripped off and even sending a picture of what was happening. While this is still a very effective way of delivering positive alerts to homeowners, it does involve added hardware (exterior motion sensor, Alarm IO board) and additional cabling which can be costly depending on where the motion sensor will be placed. I have personally even used this method for alerts at my own home for years, and it is very effective, but does deliver the occasional false-alert: Deer or Coyote running up the driveway, Racoon jumping up on the trash can, or even tree blowing in the wind (though this usually takes a strong gust). With this technology, you can really custom tune each of the alerts with our AVM system and the SMART camera, so that you receive alerts only during certain hours, or when another condition is met as well. Don't fall for the claims of other systems, stating they can send text alerts. If the alerts are based on simple motion, you will receive so many false alerts, that you will shut off alerts in the first 5 minutes. True alerts need a method of eliminating false positives, like outside motion sensors or SMART HD IP Cameras. 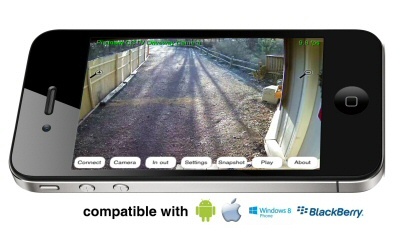 Let Platinum CCTV help you enhance your home security camera system today.